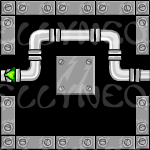 The basic premise of Sewage Surfer is that the Neopian Central Sewer System hasn't been repaired in years, and they've broken and flooded. 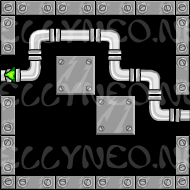 You are helping a blue wocky named Matt repair them all- he has all the pieces, and you put them together. 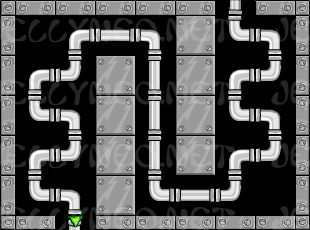 You receive an assortment of random pieces in random order, and using them, must connect the source and the drain so the water can flow without leaking. 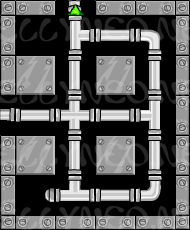 You can place one piece of sewer pipe per blank square, but they cannot be removed or replaced. 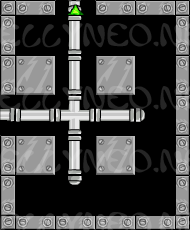 You are also given a certain number of discards for each level. 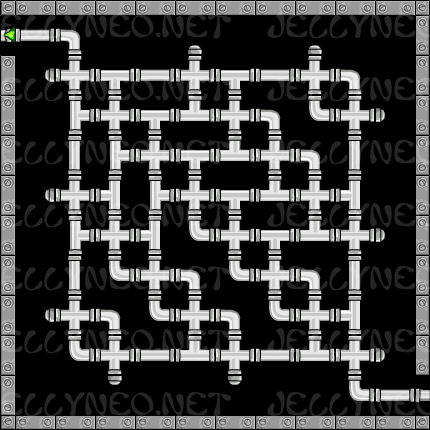 Once you've made a path from one end of the sewer to the other (be careful not to leave openings!) 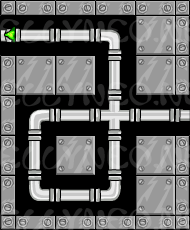 you can click on the green 'Start Flow' button to complete the level. 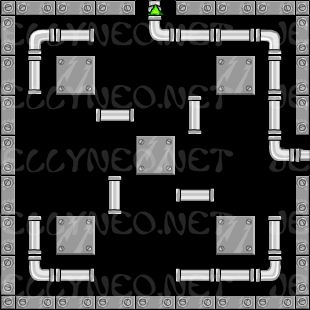 For each level completed, you earn a certain number of points. 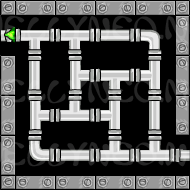 If you have filled up a sewer system, but not managed to connect the two ends, pressing Start Flow will flood the sewer. 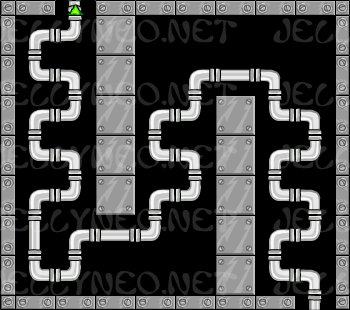 You'll then forfeit 50 points to restart the level. 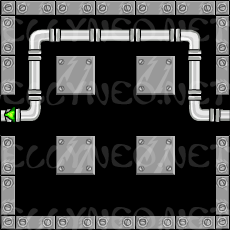 You can also just press the red "Start Level Over" button once you've gotten to a point when it's impossible to complete the level as you're going. 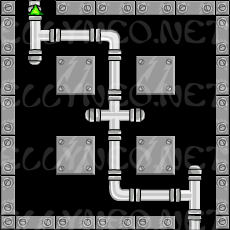 Each time you restart a level it costs you 50 points, so think carefully! 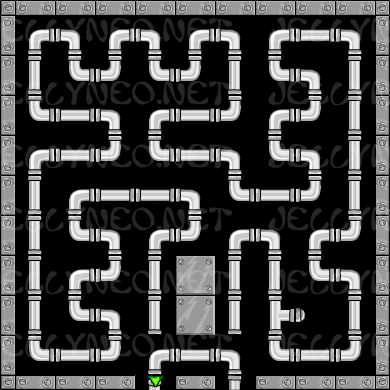 When you've gotten to the point you're ready to quit the game and collect your points, press the grey 'Quit Game' button. 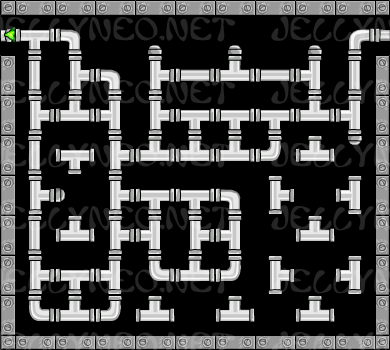 If you've scored over 5000 points, you'll receive neopoints for your efforts. 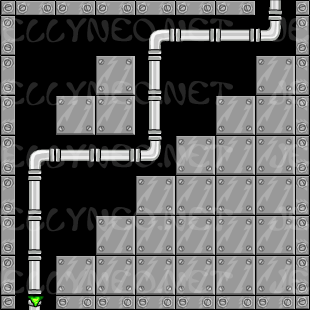 If not, you don't receive anything (unless you quit at the proper place to receive the avatar). 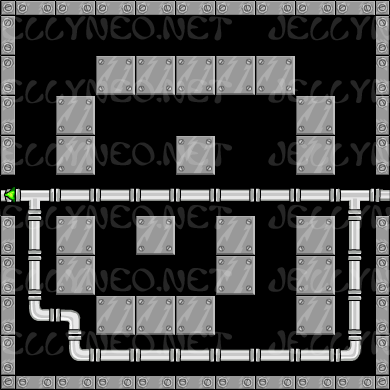 If you haven't yet received the avatar, and you quit at the proper place to do so, you will not be granted Neopoints. 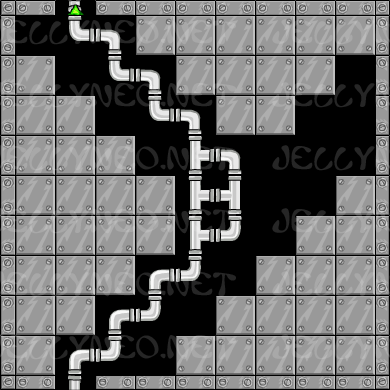 If you play until the end of the 50th level, and press "Start Flow" (and succeed) the game will automatically end, and your points will be awarded. 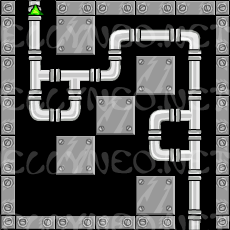 So, now that we know the rules, let's go over the pieces you'll encounter when playing Sewage Surfer. 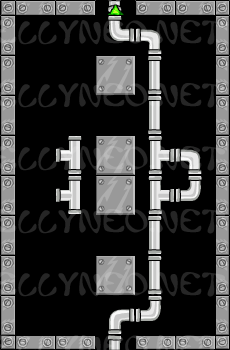 Bars: There are two types of bars, one which has openings at the top and bottom (a vertical bar), and one which has openings at the right and left (a horizontal bar). 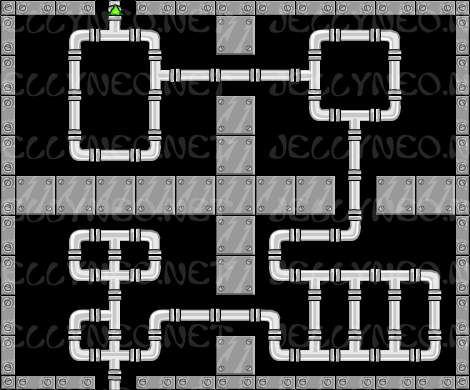 Depending on the level, you may have quite a few of these, or none at all. 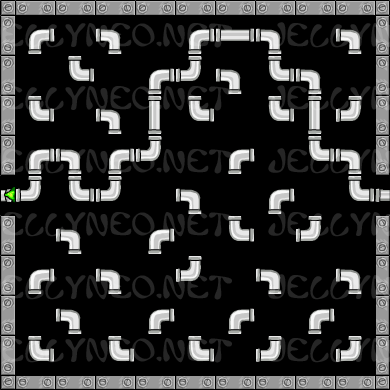 Corners: There are four types of these pieces, each of which has two openings. 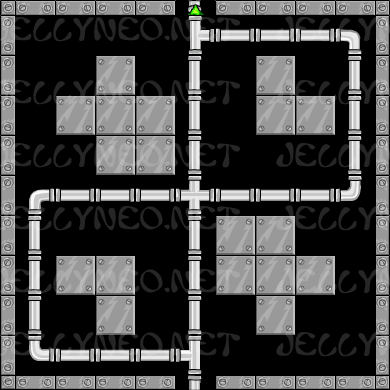 One of the openings is at the top or bottom, and the other is on the right or left. 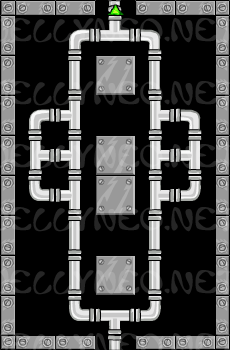 Open-hole bars: These are much like bars, but they have an extra hole, giving them a total of three openings. 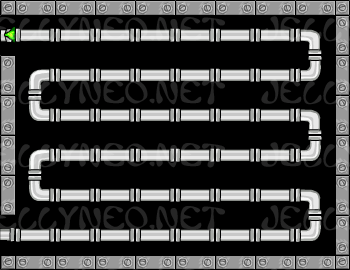 The vertical ones may have a hole on either the right or left, and the horizontal ones on either the top or bottom. 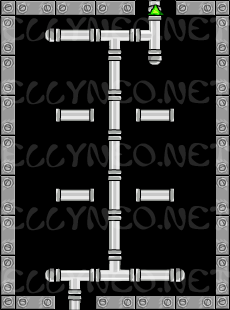 Crosses: These pieces look like a lowercase t, and have openings on every side. 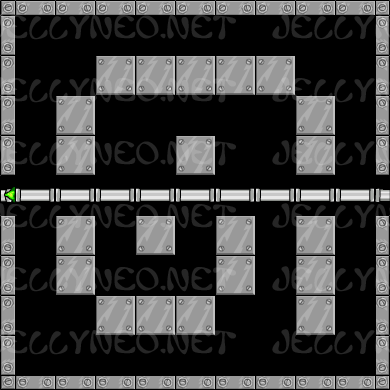 Blocks: These little nubs block openings on the ends of pieces. 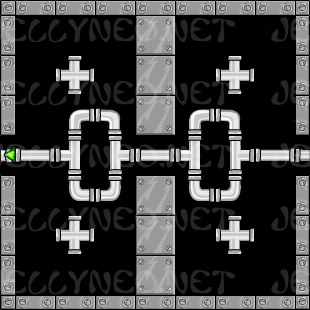 They can be very useful when dealing with crosses and open-hole bars. 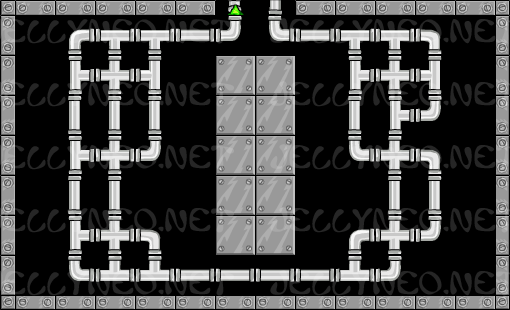 If the nub is at the bottom, it blocks the top of the hole below it, and vice versa. 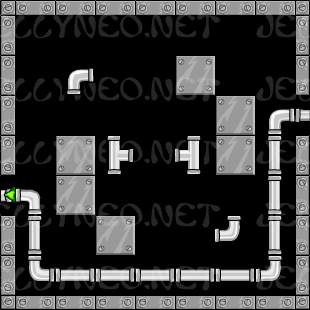 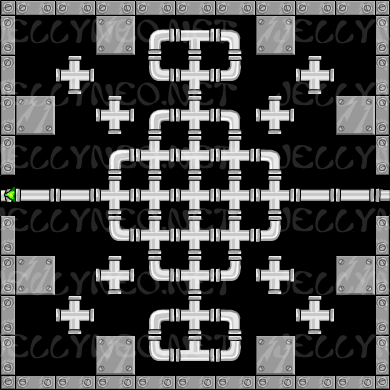 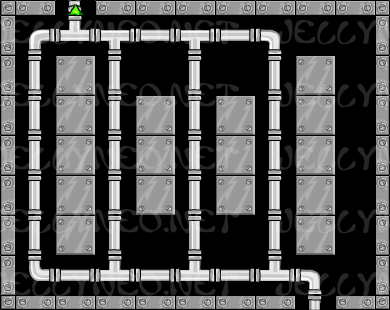 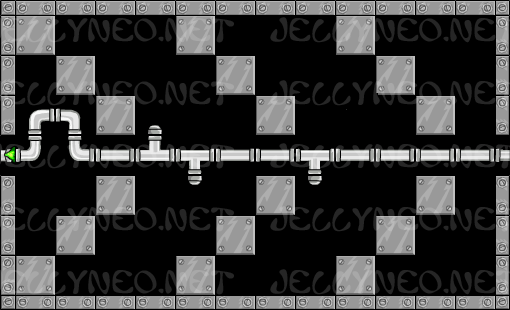 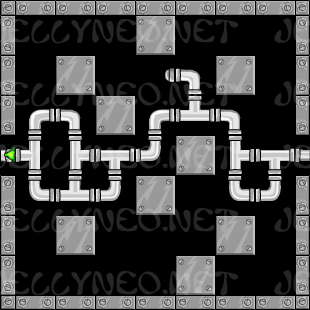 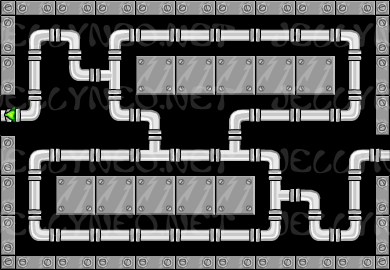 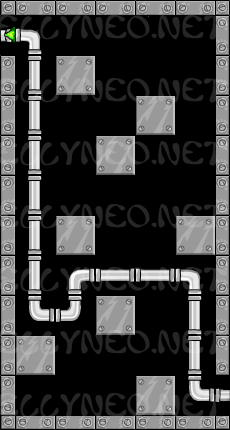 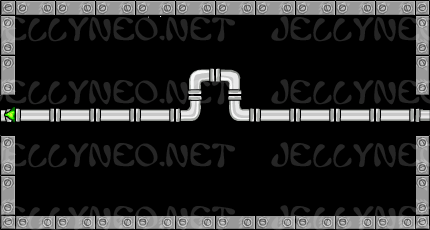 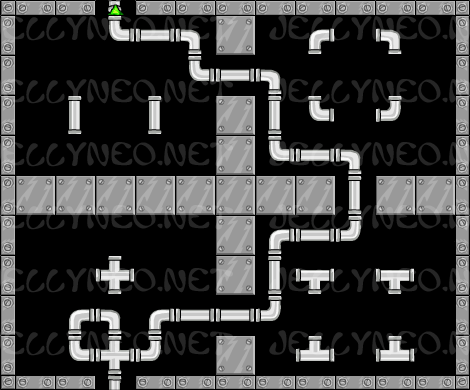 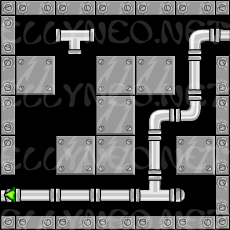 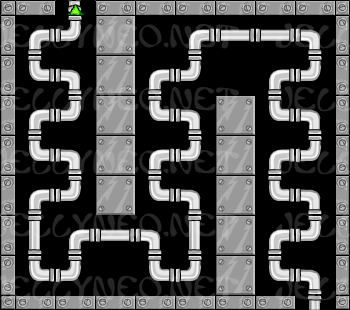 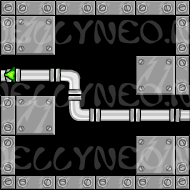 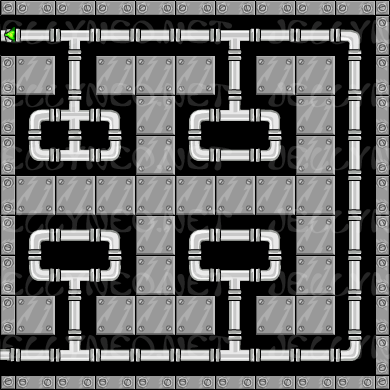 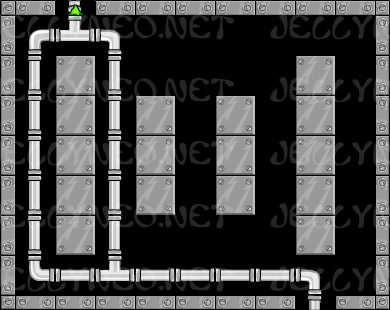 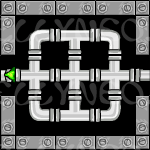 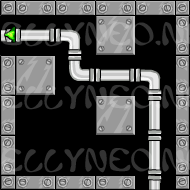 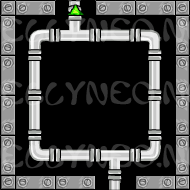 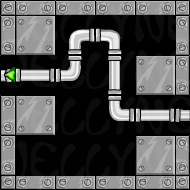 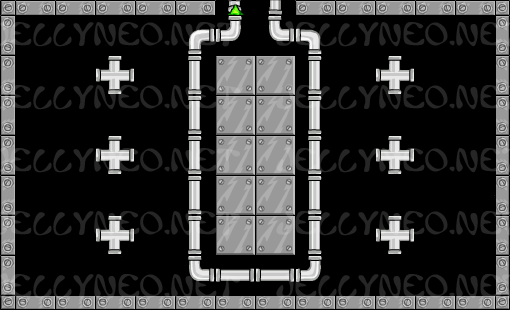 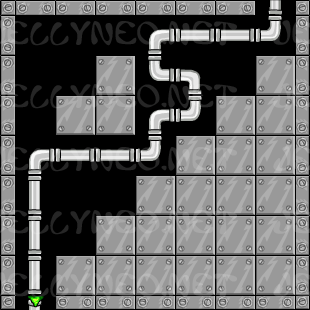 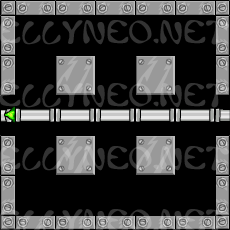 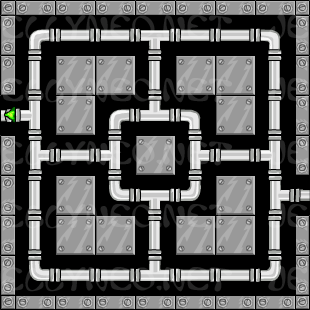 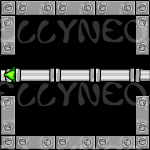 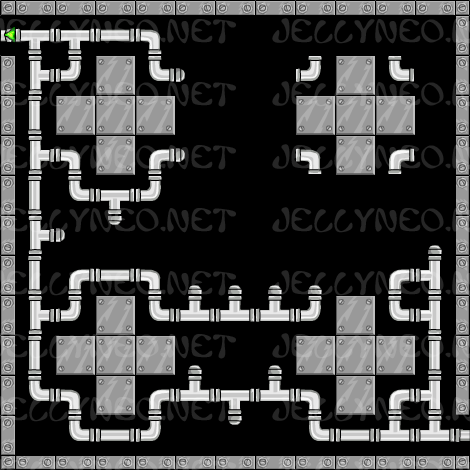 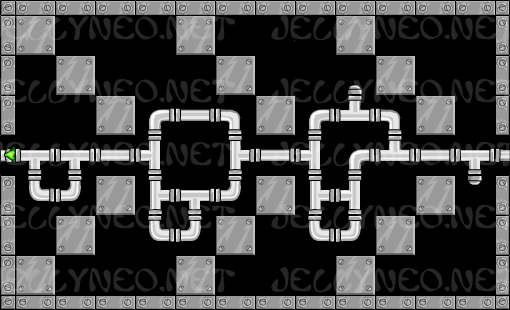 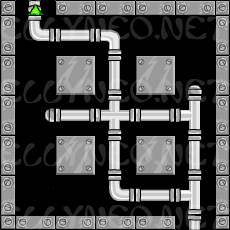 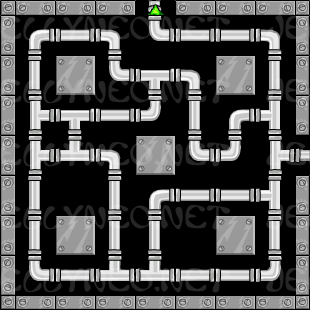 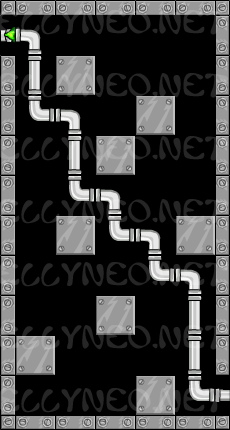 Placing an opening against one of the grey walls does not count as blocking it; if water flows through that pipe to the wall, the entire sewer will flood. 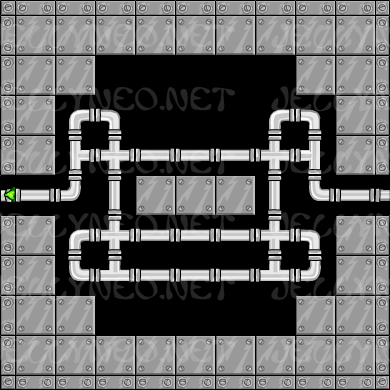 You can always see the next three pieces you'll have available, so sometimes it works best to plan around what you know you have coming up. 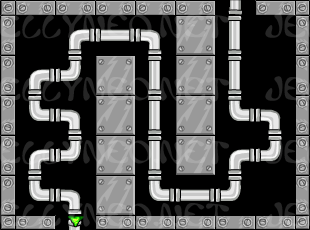 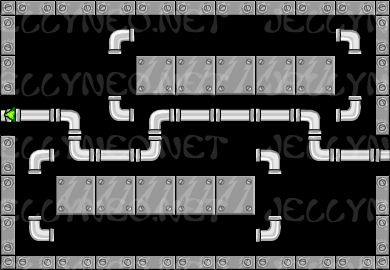 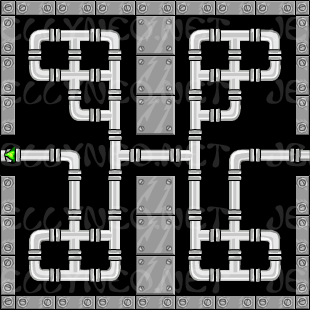 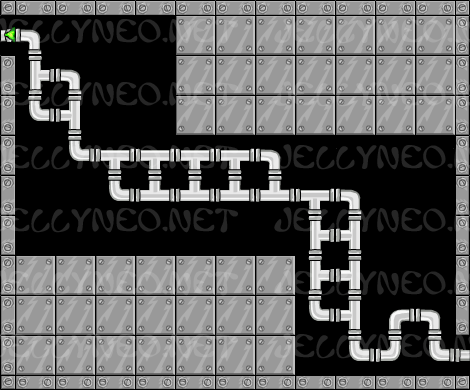 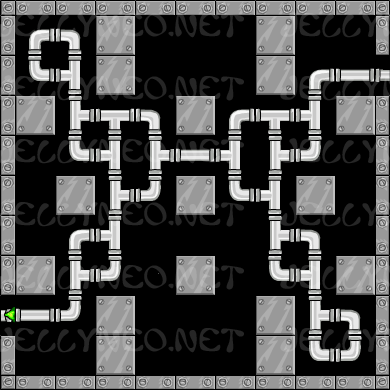 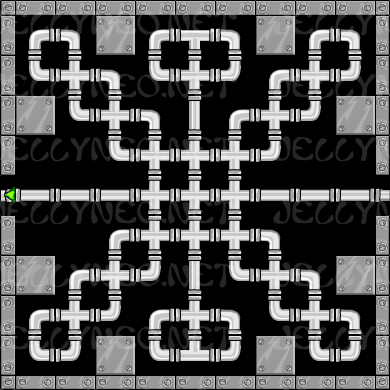 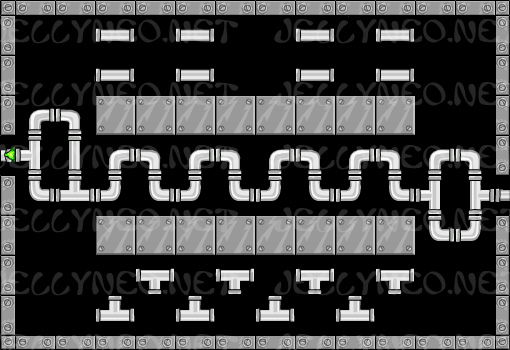 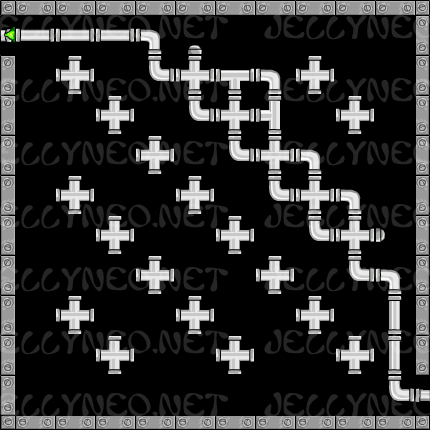 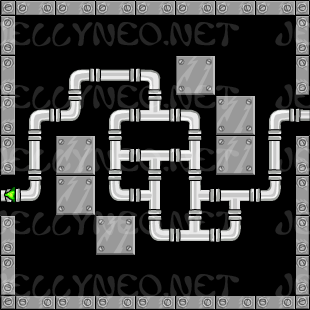 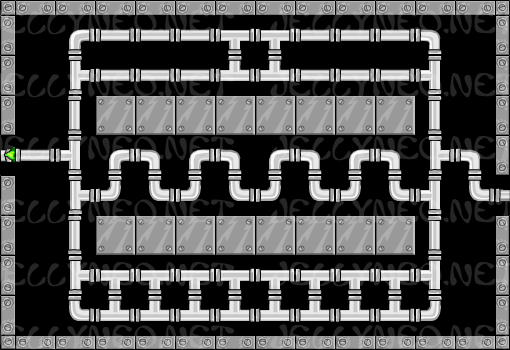 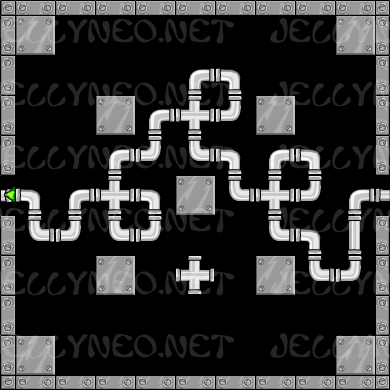 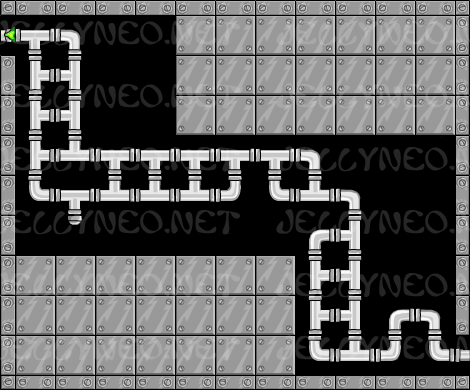 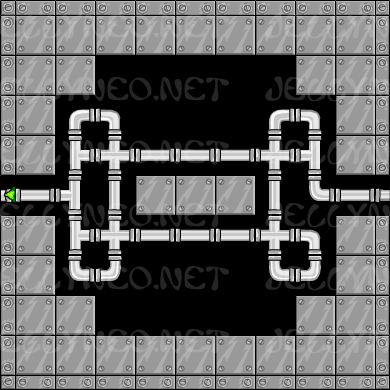 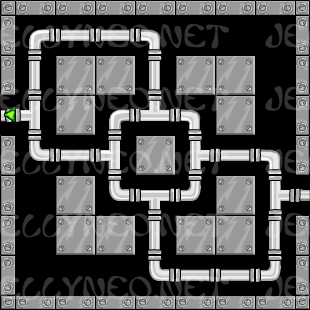 Although you only have a certain number of discards per level, you can also place excess pieces in areas of the sewer you won't be using to connect the two ends of the sewer. 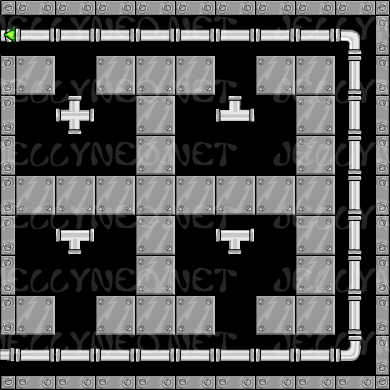 Just make sure you don't place them in the middle of your path! 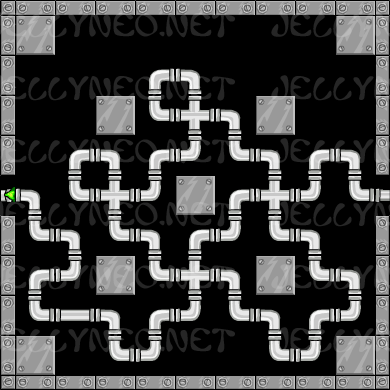 Note: You do lose some points for pieces not used. 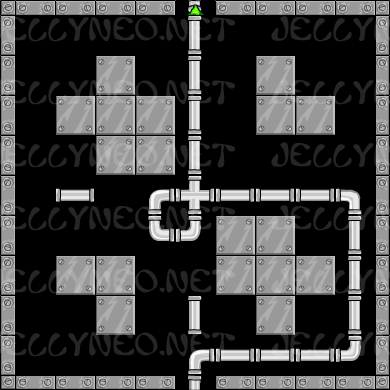 Below are possible solutions for all 50 levels of Sewage Surfer. 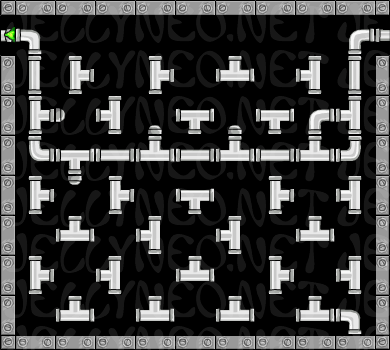 We offer two paths for solutions. 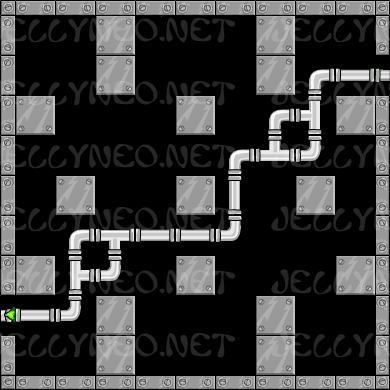 The Avatar Path gets you to level 50 more quickly, and the High Score Path gets you more points. 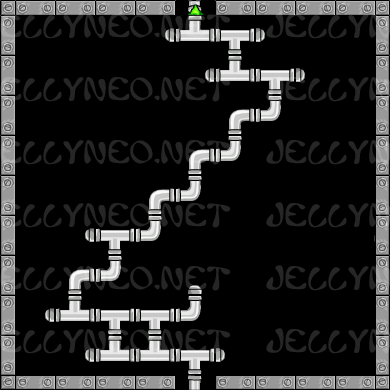 Remember... once you get to level 50, quit to get the avatar!